Suddenly, everything went dark and panic broke out. Before panic could set in, she realised that the clock was fast. Panic ensued as people ran out of the burning building. 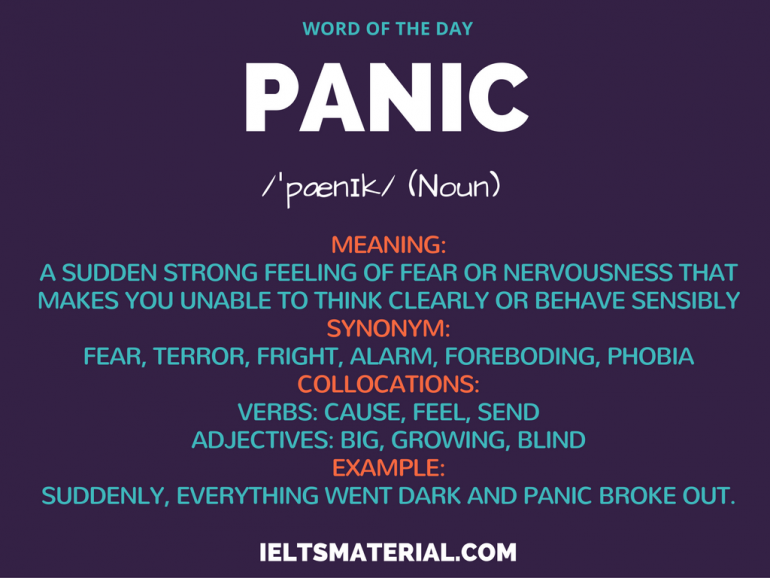 She felt panic rising within her.